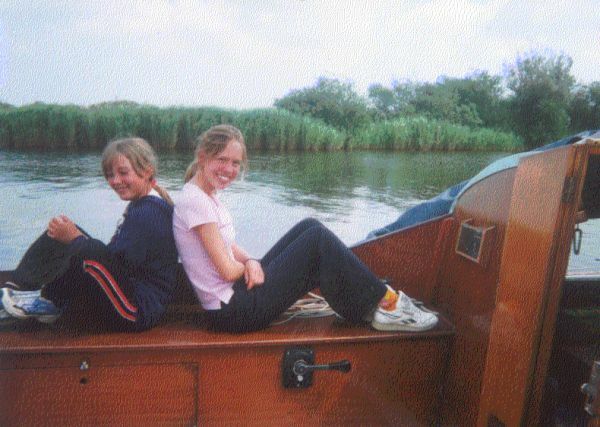 Jenny and Hannah relaxing on Hurricane. 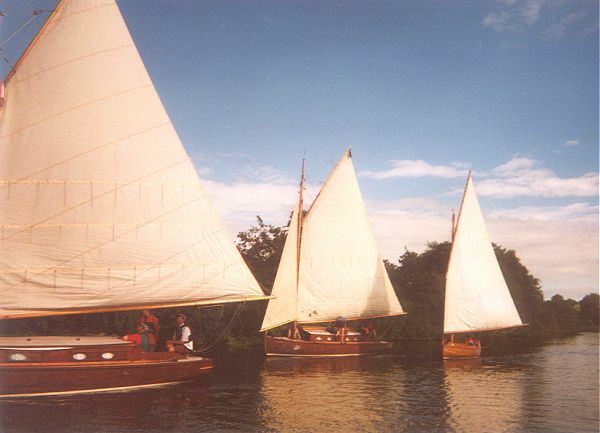 A group of boats, from the left, Wood Sorrel, Brown Bess and er... another one, apparently. 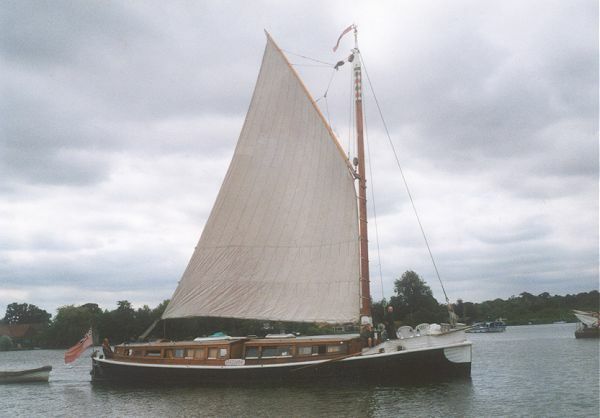 A wherry on South Walsham. Probably. 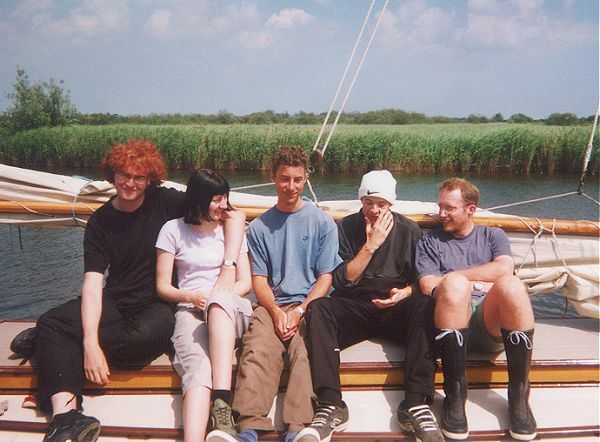 The crew of Luna, from left to right, Alastair, Helen, Richard, Chris, and Ed. 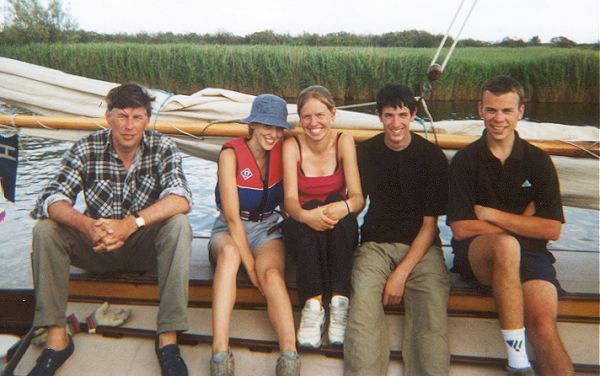 The crew of Wood Sorrel, Laura, Lisa, John, and skipper Alex. The crew of Lullaby (lots of crew shots this year! 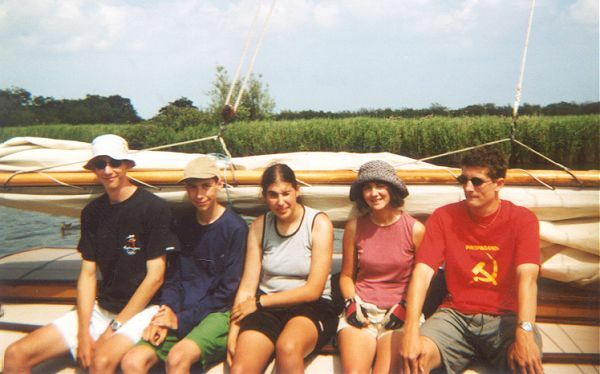 ), from the left, David, Esther, Hannah, Andrew, and Rob. 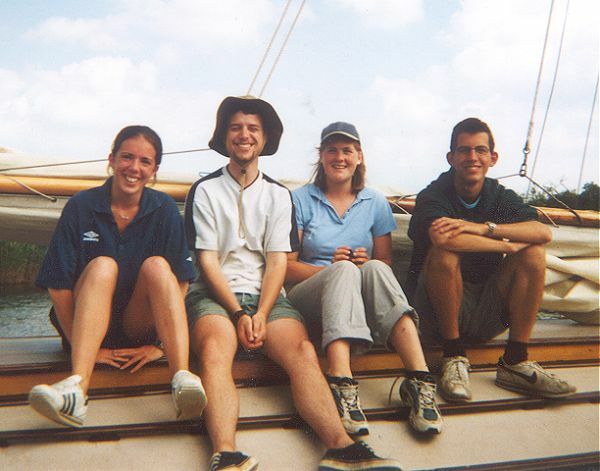 Wood Rose's crew, from the left, Charlotte, skipper Andy, Rosie and Jason. The crew of Wood Violet. They are: Tore, Matthew, Katie, Clare, and Andrew. And now the crew of Lustre... Stephen, Martin, Carol, Emma and Katie. 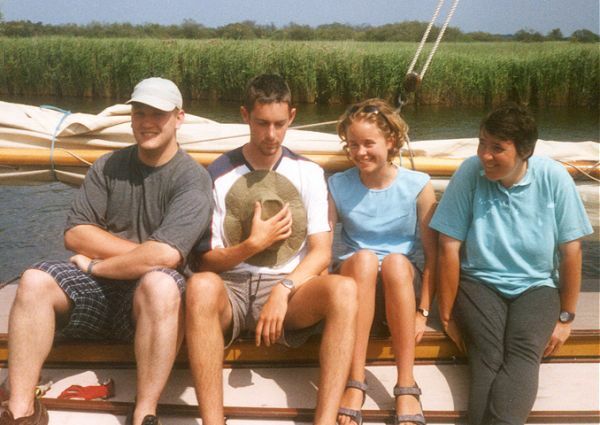 Finally, a mixture of people from different boats, from the left, Jim (of Brown Bess), Andy from Bure Classic, Rachel from Brown Bess, and Helen from Bure Classic. 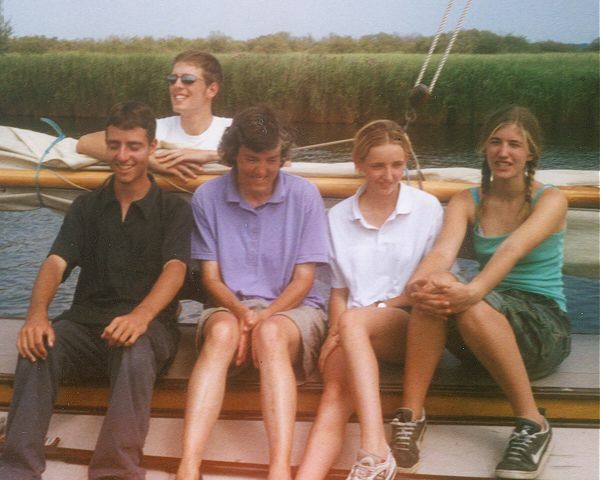 The Quanternet: the fourth wittiest website about sailing beginning with 'Q' that I've read.